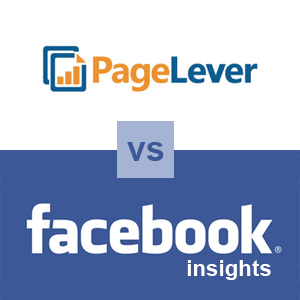 Is Pagelever Better Than Facebook's Own Insights? Home / Blog / Is Pagelever Better Than Facebook's Own Insights? I was really excited to check-out this new tool and eagerly signed-up for my free trial. Unfortunately, I was denied immediate gratification as I was notified that they needed to create my dashboard and would get back to me. After waiting a few days, I contacted customer support and was notified that I had neglected to select the pages that I wanted to be active. After completing this step, I was up and running. You can find the ‘Manage Facebook Pages’ tab under ‘Settings’. Once contacted, their support staff was very responsive and gave me the help I needed. The Pagelever interface is segmented into easy to maneuver categories including Growth, Visibility, Engagement, Posts and Reports. Let’s start with the one that has been the go-to social media metric since day one, fan growth. Step one is selecting the dates that you want to examine. You can choose several pre-set options such as prior 20 days, 30 days or 60 days OR you can make a custom selection. My data appears to go back as far as April 2011. However, Pagelever does admit that Facebook only allows them to ‘retrieve post data on posts newer than 30 days in most cases.’ This information is archived within Pagelever, so older data will accumulate over time. The Growth tab houses an impressive amount of data and displays the total new fans and removed fans for the specified time period. It also calculates a growth rate percentage and compares that to the pages past performance. This allows you to quickly access whether or not your page content is doing a good job at recruiting and retaining fans. Pagelever also provides some insight into WHERE your new fans are coming from. Under ‘Growth Sources’ they outline the top sources for both new fans and removed fans. These buckets include items such as Facebook ads, Facebook stream, Fan page, Fan box, friend suggestions, Facebook search, etc. Pagelever also houses a considerable amount of fan demographic info like age, gender, country and city. The tool lists the communities where you have seen the most growth, the lowest growth and overall fan demographics. This is very helpful in assessing the effectiveness of targeted Facebook ads and your content in general.For example, If you are running a Facebook ad campaign to recruit fans for Absolute Vodka and the majority of new users are males age 13-17 you may want to consider re-targeting your ads. Under the Visibility tab, you can gain some insight into exactly WHAT’s being seen and when. Page views are compared to newsfeed impressions and this data might be quite surprising. Generally, brands are getting the most visibility from the newsfeed NOT from users visiting their Facebook page. This might help make the argument that putting beaucoup dollars into developing Facebook tabs isn’t the best allocation of resources. Instead, hiring someone who can create engaging newsfeed posts will likely get you a better ROI in the long-run. Also interesting are the graphs showing internal and external Facebook referral sources. You can determine how effect your newsfeed is at recruiting users already on Facebook to view your page. Stream Views or Impressions: The number of times people (Fans and non-Fans) have viewed a News Feed story posted by your Page. Having read on allfacebook.com that a 1% feedback or engagement rate was something to shoot for, this new calculation meant I had some work to do. Again, actionable insights! Pagelever also delves into WHERE your engagement is coming from. They provide charts that show how many of your comments and likes are coming from mobile devices, the newsfeed, Facebook search, etc. Under the ‘Posts’ section you can get granular post details including engagement rate, total impressions, total likes and comments and demographics on the users who engaged with the post. “Unfortunately, Facebook only updates their data with us every once in a while, so we can’t keep this graph real-time. Pagelever founder, Jeff Widman, checked into this issue and explained that the timeline feature will only aggregate data on posts that were distributed after signing up for Pagelever. You can read more updates from Jeff in the comments section of this post. Pagelever offers one standard report currently that’s exportable in a PDF format. Unfortunately this report doesn’t provide information on one of the most important metrics that their tool offers, engagement rate. You have to log into the main dashboard to see that number. Unfortunately, I don’t think any of my clients would find this report very useful. The report does offer insight into fan growth and the overall growth rate. It also compares the visibility of the newsfeed vs actual Facebook page views. In terms of engagement, the report outlines the most engaged demographic and the % of daily active fans. The last segment on their standard report includes a look at the most popular unique posts, comparing impressions, likes and comments but no engagement rate. A great addition to Pagelever’s offerings would include the ability to export ALL of the graphs and data within the tool. That way, strategists could piece together reports with the most relevant data for their clients. To sum it up, I feel that Pagelever is an extremely useful tool that would allow brands to truly optimize their Facebook presence. For brands that have a large following and rely heavily on keeping the community engaged, this tool is invaluable. I would highly recommend it for full-time community managers that are tasked with ensuring they get max eyeballs on their content. And for smaller businesses, the low price-point has me asking the question why NOT? A standard account is only $34 bucks per month and would allow Facebook page managers insight into who’s listening and responding. Again, invaluable. You can sign-up and find all pricing options on Pagelever’s website. By researching your most interactive posts, you can target updates to the gender and location that comment most often, thereby increasing interactions and impressions. Posts categorized by type (links, photos, flash) for a specific time period. Total number of engagements per type/total number of impressions for that type of post.